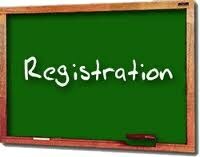 Registration at Avalon ISD for the 2018-2019 school year will be held Thursday, August 2, from 9:00 a.m. to 7:00 p.m. in the J.P. Griffith gymnasium. The "Back-to-School Festival" will be held from 10 a.m. until 2 p.m. on that day as well! All registration forms (grouped in packets) listed within each packet are REQUIRED for all students (new and returning) at Avalon ISD for the 2018-2019 school year. Please print the forms, fill out all information and return to the school during Registration Day (August 2nd, 2018) or to the high school office or elementary offices after that date. Forms are available in Spanish as much as possible. For RETURNING students, there will be one Student Information Form at registration that MUST be checked and corrected by the parent, if necessary. Student ID pictures will also be taken at registration for the new school year. **Lunch applications are not available until after August 1 and will need to be filled out by all families when parents bring registration forms to school. A new lunch application must be filled out by all families each school year. This is not only for information for Free and Reduced lunch enrollment, but also for grant and federal applications information.